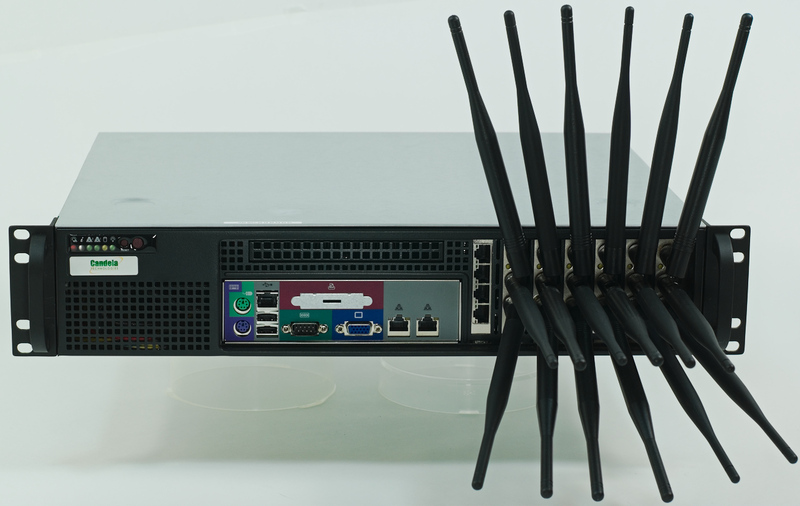 The CT525-1200-6n wireless traffic generator is an excellent choice for testing Access Points and other WiFi networks. The CT525-1200-6n uses a modified Wireless driver for WiFi NICs based on the Qualcomm/Atheros chipset. The ath9k (a/b/g/n) chipset NICs can support up to 200 stations per radio. Each of the Virtual Stations has its own IP address, IP port space, MAC address and routing table. The Virtual Stations can be assigned to communicate to a particular Access Point, use a particular SSID, and Open or WPA/WPA2 authentication assigned. More advanced 802.1X authentication is also included. Each radio can be configured independently of the other. Transmit power and channel/frequency is configured on a per-radio basis. Most other settings are configurable per virtual station. 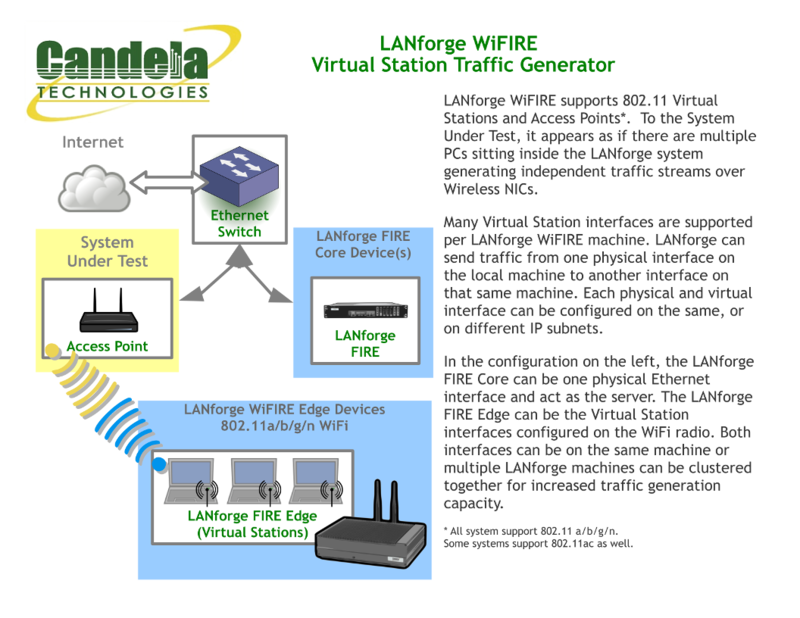 There are six a/b/g/n WiFi radios per CT525-1200-6n and multiple LANforge systems can be clustered together for even more realistic radio interference patterns and increased traffic generation capability. The CT525-1200-6n is a 2U rackmount system. It has 18 antennas. It will fit into a standard rackmount cabinet. No additional hardware or software is required, but it is suggested that you manage the system using the LANforge GUI on a separate machine. The CT525-1200-6n can also be managed over a serial console in text mode or through a directly connected monitor, mouse and keyboard. The Client side of the network will be the Virtual Stations configured on the CT525-1200-6n WiFi NIC(s). Install the LANforge-GUI on a separate management PC or Laptop. Windows and Linux GUIs are supported: Select the correct one from the CDROM or Candela Technologies Download page and install it. The CT525-1200-6n appliance has a web server that also provides the LANforge GUIs. The CT525-1200-6n should now boot. If DHCP is enabled on the Management network, the CT525-1200-6n will automatically acquire an IP address. If DHCP is not available, the IP address will be set to 192.168.1.101 by the LANforge scripts. Start the LANforge-GUI on the management PC and click the 'Discover' button. It should find the CT525-1200-6n appliance and add the IP address to the drop-down box in the Connect widget. Press 'Connect' and you will be connected to the CT525-1200-6n. Select the Port Mgr tab in the GUI. Double-click on the device called 'wiphy0'. This is the Radio device, and should be configured for the correct, channel, country-code, etc. Next, select one or more of the Virtual Station interfaces and click 'Modify'. Enter the correct IP address information, SSID and WPA/WPA2 password (if Enabled). After applying these changes, the Virtual Station interface should associate with the AP and be ready to send traffic. You may create up to 1200 Virtual Station interfaces per CT525-1200-6n with the 'Create' button. 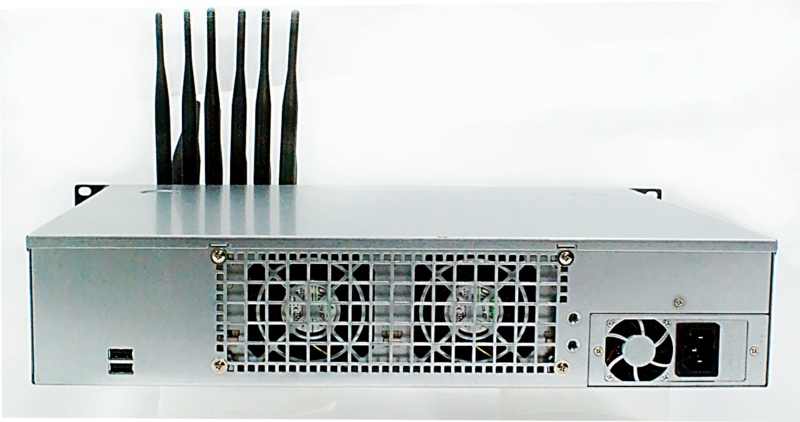 802.11a/b/g/n Wireless Station (up to 1200 per machine). 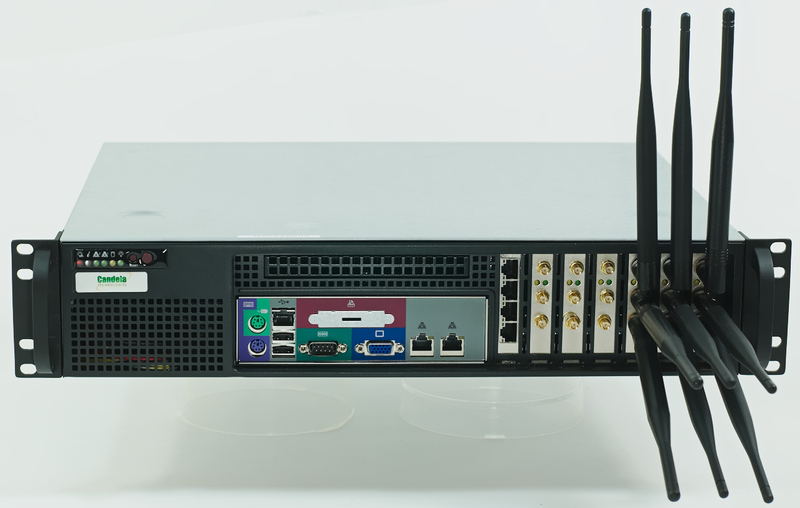 The CT525-1200-6n is able to push up to 345Mbps through an AP, depending on the protocols mix, wireless mode and environment, and speed of the network under test. Supports at least 60 VoIP (SIP, RTP) calls if appropriate licenses are purchased. 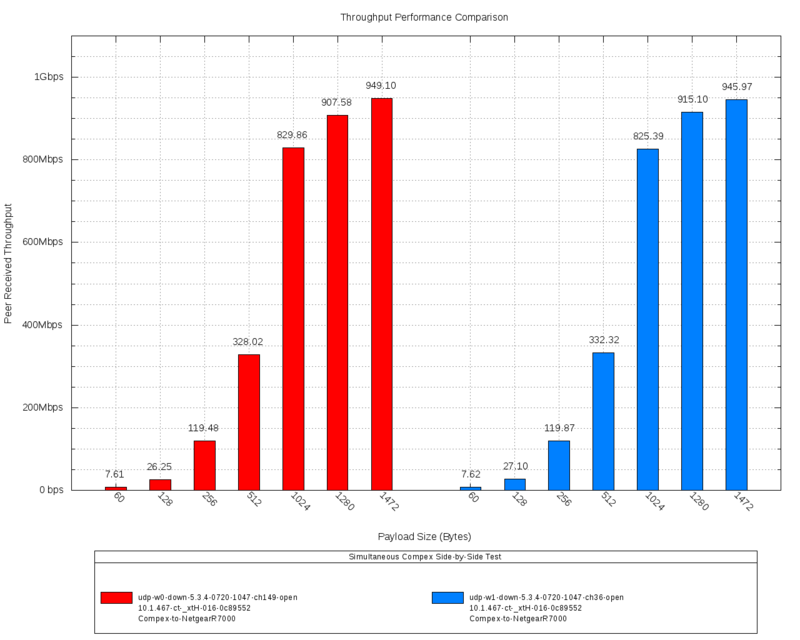 When all six a/b/g/n radios are configured on different channels, combined maximum upload speed exceeds 625Mbps (NOTE: Tested with 802.11a/b/g/n NICs. 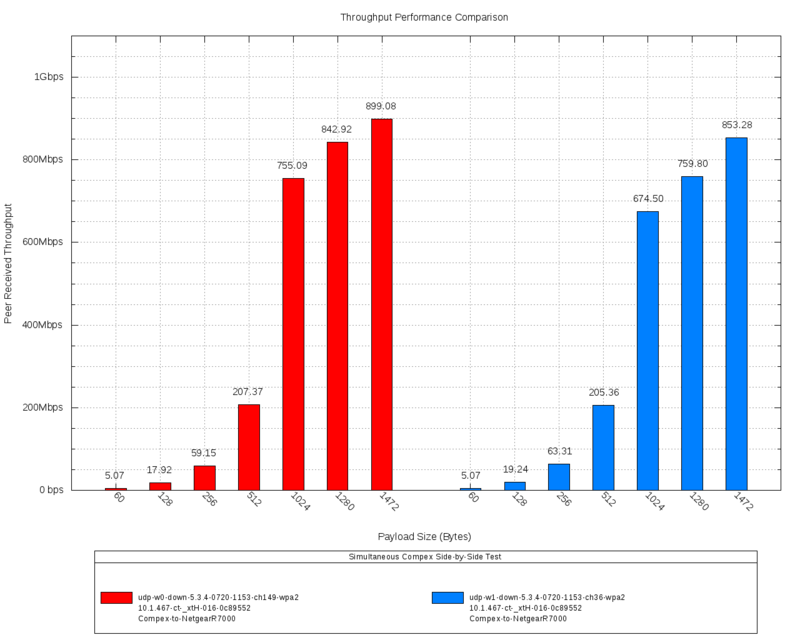 The ath10k a/b/g/n/AC chipset NICs have not been performance tested yet.) More powerful systems are also available. Six Atheros/Qualcomm 802.11a/b/g/n 3x3 MIMO NICs with three external antenna each. Supports up to 1200 virtual stations (200 per a/b/g/n radio). Dual-band antennas: 5 dBi @ 2.4 GHz, 3 dBi @ 5 GHz.